We are in the process of rolling out the SIMS Parent App to parents of all students. 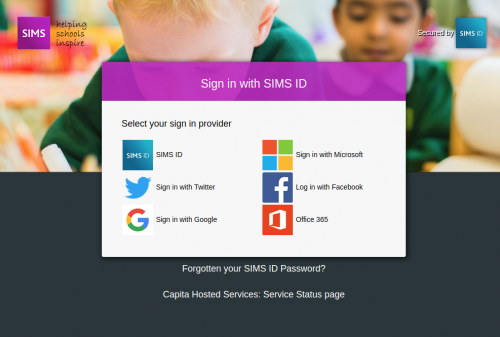 If you have already registered for the new SIMS Parent App, click here to go to the login screen to view the site in a browser. If you are having any difficulties with the SIMS Parent website or app, you can find links here to the registration guide and FAQs. Please ensure you have followed the instructions in the Parent App Setup email to register for the new service. If you have not received the email, or the link has expired, please contact reception for a new activation email.